Dating and finding love shouldn't be difficult. Our portal gathers many ressources in order to help you to contact other singles online. 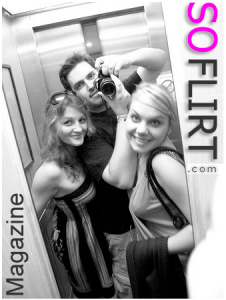 SO Flirt's dating Blog / Magazine ! SO Flirt is an indépendant site dedicated to online dating services. The editorial team of the site gathers people working in the dating industry but also other people with different backgrounds. Design : the best resources list for dating banners ? Marketing Infos : How to Promote Your Dating Site ? © 2019 SO Flirt. All rights reserved. SO FLIRT : Journal / Magazine / Blog / News !